Epson wants to help businesses to find the right sheetfed scanner that can help them be more productive, save space and optimize their workflows. Printing a hard copy of a digital document is as easy as printing them out but doing it the other way around requires a particular tool. This is done via a versatile tool called scanners. Sheetfed scanners are the best options since they are designed for scanning loose papers. It can capture, index, store and share critical business documents simpler. However, how can you find the best fit for your business? Epson has a guide of things to consider when looking for a sheetfed scanner. 1. Speed of performance - When used for businesses, speed is the number on priority. Speedy performance directly affects productivity and workflow. The speed of a scanner is measured in page per minute and impressions per minute which the speed of scanning both sides of the paper. So the higher the PPM and IPM numbers are the better. 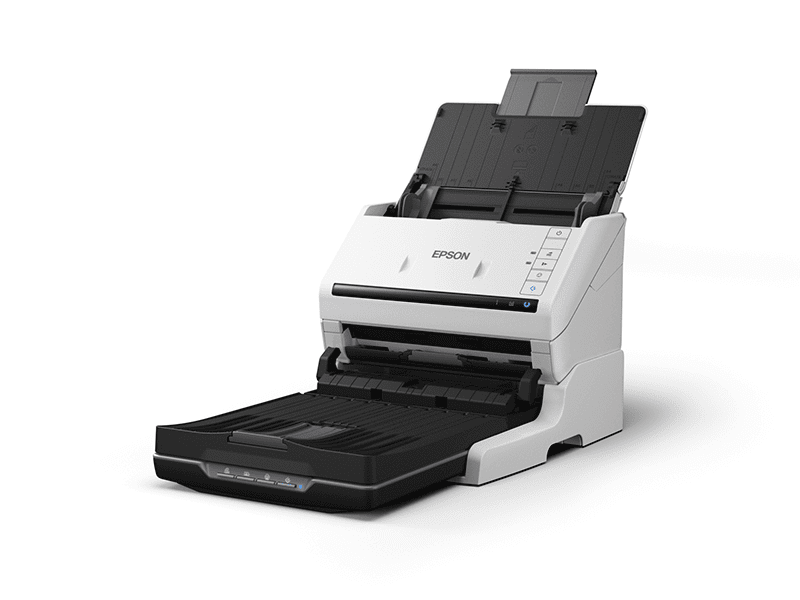 Epson's Workforce sheetfed scanner lineup has scanning speeds of up to 65ppm/130ipm. 2. Reliability - Speed is one thing, but reliability is just as important. Daily duty cycles is the average number of scans recommended for a scanner. If you go over the appropriate duty cycle of the scanner it could affect the unit's life over time. It is a must to know a the right duty cycle you need for your workflow. For instance, Epson's WorkForce sheetfed scanners have duty cycles of up to 6,000 pages per day. 3. Versatility - The ability to do more is always a plus. Businesses needs to have a versatile scanner that can scan different sizes and types of documents. A sheetfed scanner can be used as a flatbed scanner with a conversion kit. The Epson WorkForce DS-530 with the Flatbed Dock can be used with the Epson Perfection V39 to provide a flatbed option when scanning passports, books, bound media and small, fragile documents such as receipts. 4. Technology - The technology a scanner has is also a factor to consider. Some have an automated document feeder that can hold unbound documents that can help for large batch of documents. 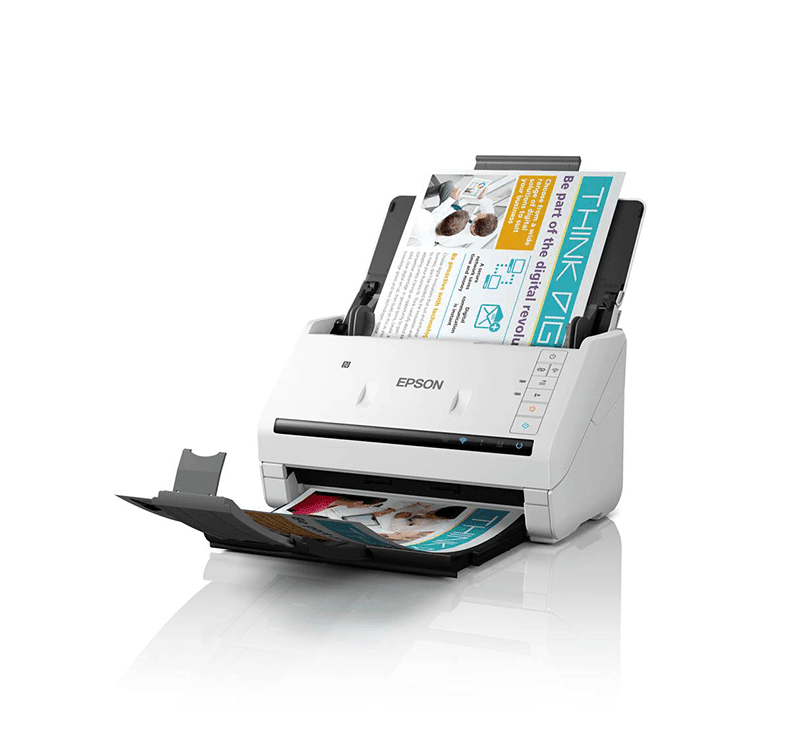 The Epson DS-780N has a 100-sheet capacity ADF and can handle 45ppm/90ipm. 5. Network and WiFi - Today, the ability to connect to a network or WiFi is also an essential part for a scanner. For instance, the Epson WorkForce DS-570W is equipped with an optional Network Interface Unit that allows it to be shared among a workgroup via Ethernet connection. The DS-570W can also connect via WiFi, be a WiFi access point and connect via NFC.